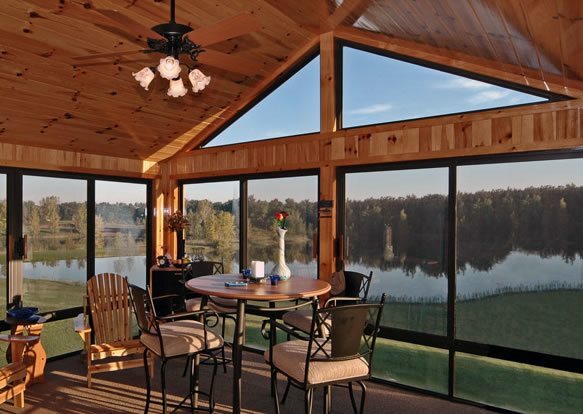 A fully-insulated sunroom like this one stays cozy even in winter. 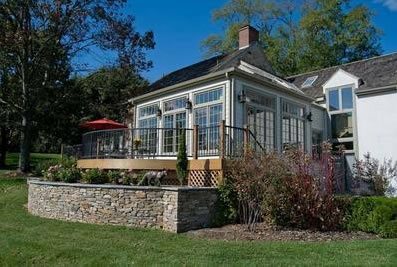 The clients wanted an English-style solarium with a lot of glass so they could enjoy the outdoor views year-round. 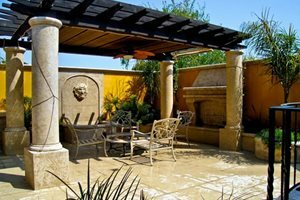 The entire project including the sunroom, wall, curved deck, and rail cost $65,000, but the sunroom itself was $45,000 of the project’s cost. 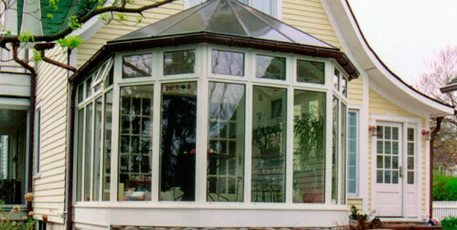 This sunroom, from Lancaster Conservatories, was built using components that have been pre-cut, mitered, and pre-drilled for an easy installation. Floor to ceiling windows make you feel like you are outdoors, but because this is an insulated sunroom it can be enjoyed all four seasons. 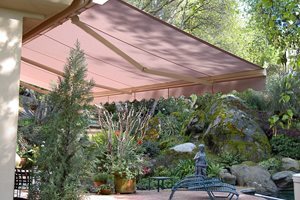 Budget is one of the biggest reasons people would choose not to build a sunroom. 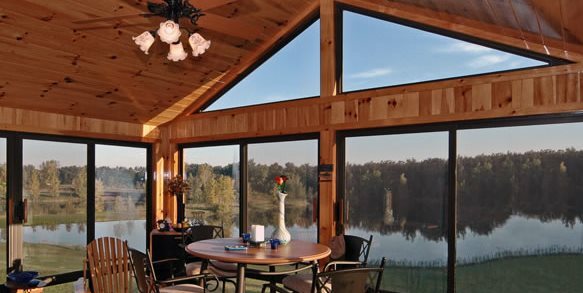 A non-insulated, three-season sunroom costs $20,000-30,000 on average, while a fully-insulated and heated four-season sunroom runs about $25,000- 40,000. 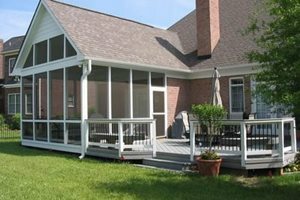 While non-insulated sunroom kits are available for less, these have few options in terms of styling and rarely fit well with the architecture or surroundings. Some brands also have quality issues with leaking. A sunroom, or four-season room, is more like an extension of the house than a garden structure. They’re fully insulated and have dual-pane windows, heat and electricity, a solid roof and foundation, and plenty of windows so you feel as though you’re sitting outside, yet have all the comforts of home. Set up bird feeders and a year-round place for birds to drink, and your sunroom will become the perfect place to watch and photograph their antics. Snow-covered grasses and evergreens make a sculptural display, yet are often ignored all winter because of how unpleasant it is to be outside. The cool temps of fall and winter cause arthritis to flare up, so having a warm sunroom can allow you to keep spending time “outdoors” as the season winds down. Savor a morning cup of tea or eat dinner without yellow jackets and mosquitoes disrupting your peace. 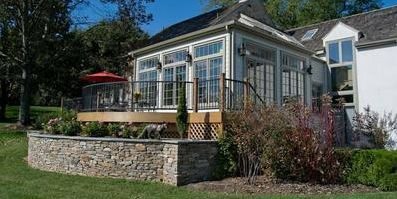 If a fully-insulated four-season sunroom is out of your budget, you can build what Biedenweg calls a three-season room. “A three-season room is similar to a four-season room, but lacks insulation, insulated glass, and heat.” You wouldn’t want to sit out there when it’s snowing, but it’s great on spring or fall days when it’s too cool to be outside. 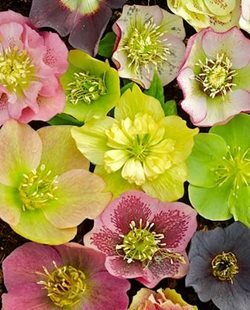 People in mild climates may find that even without insulation, their three-season room is comfortable in winter. 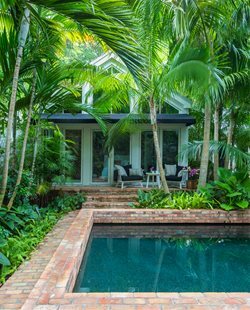 Most styles of architecture can work with a sunroom. “We try to work with the style to make it look like it’s always been there,” says Biedenweg. “If it’s a Craftsman home, there’s not a lot of gingerbread there. 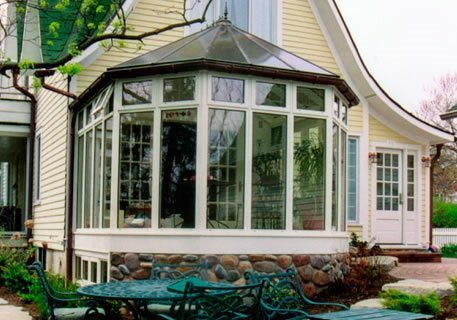 But the level of trim and curves in the design become more involved on a Victorian.” The simpler the detail on the home, the simpler the detail on the sunroom. 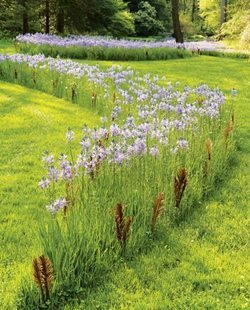 “More detail isn’t harder, but it’s certainly more labor-intensive,” Biedenweg says. If you have the space and can afford it, a sunroom increases the property value on your home and gives you a huge boost in the number of days each year you can enjoy your landscaping and the feeling of being outdoors.